A new mens cruise night is rocking the London scene at one of it’s best established Vauxhall venue…The Eagle. MENS INC has captured the imagination of bears, cruisers and those looking for a bit of ‘mans’ night out. 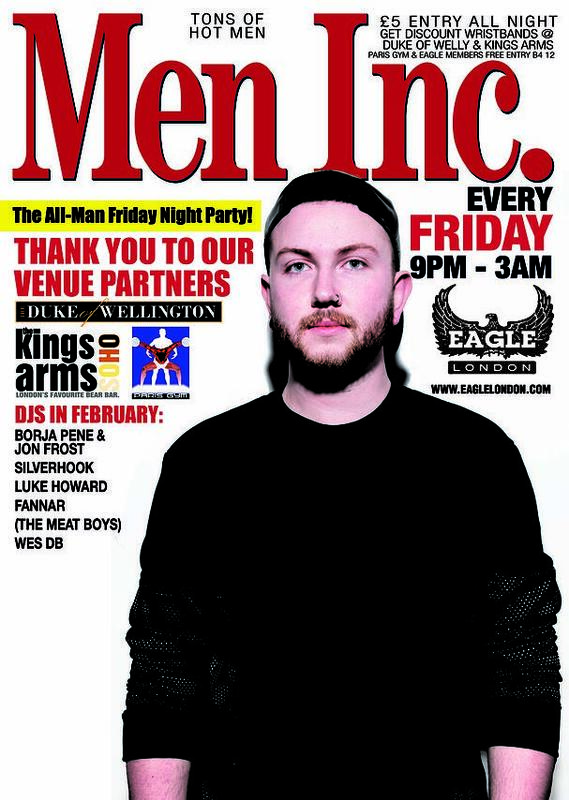 EAGLE LONDON presents…Men Inc. – A Friday night man party for London and beyond..
Men Inc. is the fun and sociable night out for the gay men of London and beyond. Pulling in a wide and varied mix of blokes, Men Inc. offers a dance floor bursting dance gems old and new, a midnight buffet of hot snacks, drink promos, beer garden, pool table, friendly vibe and so much more. It’s the Friday night party gay Londoners were yearning for, and now they’re roaring for more. Come join us!